Edited by Dr D.A Carson this NIV study bible includes over 1.2 million words of new content. NIV Zondervan Study Bible: Hardback by New International Version was published by Hodder & Stoughton General Division in August 2015 and is our 13664th best seller. 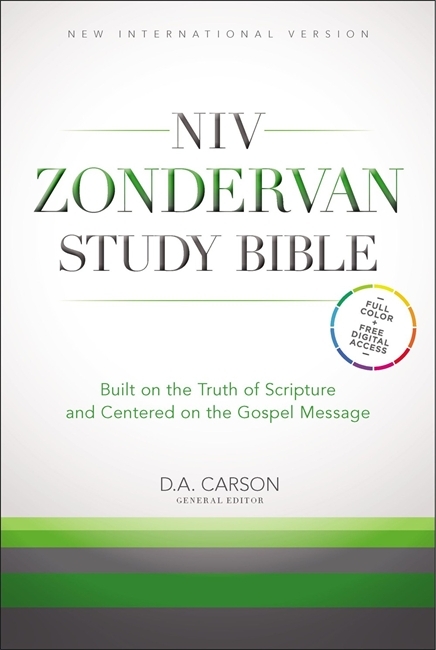 The ISBN for NIV Zondervan Study Bible: Hardback is 9781473615410. 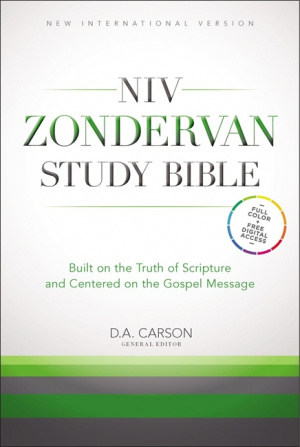 Be the first to review NIV Zondervan Study Bible: Hardback! Got a question? No problem! Just click here to ask us about NIV Zondervan Study Bible: Hardback. A:Yes, there is, but it is not due for release until the 19th October. Here's the link for it: https://www.eden.co.uk/shop/niv-zondervan-study-bible-anglicised-4493512.html Thank you for using the Q&A Forum. A:I'm afraid the digital access is not a separate item to be purchased. Rather, it is a code in the back of the Bible which gives you access to Zondervan Study Bible's extras and notes through the website www.biblegateway.com, or the Olive Tree Bible Study app. I hope that clears things up a little. Thank you for using the Q&A Forum. Could you tell me more about the free digital Access offered with this Bible? A:The Digital Access is to an online copy of the Bible that you could read on a phone, or tablet, or computer. There are instructions inside the Bible on how to connect, with the only necessity being that you need an internet connection to access it. I hope this helps. Thank you for using the Q&A Forum.